The Free State is the agricultural heart of South Africa. This vast grassy plain is where more than 70% of South Africa's grain consumption is produced. The Free State is also rich in mineral wealth, gold representing 20% of the worlds total gold production. Impressive game reserves exist such as the Willem Pretorius. The grassy plains in the south of the reserve provides ideal conditions for large herds of plain game such as black wildebeest and springbok. The ridges, koppies and plains typical of the northern section are home to kudu, red hartebeest, white rhino and buffalo. The African wildcat, black wildebeest, zebra, eland, white rhino and wild dog can be seen at the Soetdoring Nature Reserve near Bloemfontein. 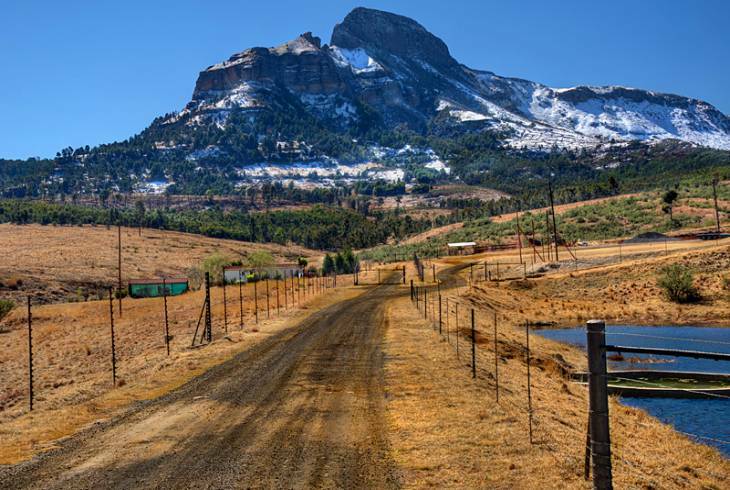 Probably the most scenically attractive of all the reserves in the Free State is the Golden Gate Highlands National Park dominated by spectacular sandstone mountains. The reserve derives it's name from two massive sandstone formations that face one another across the valley. Apart from the splendour of the Free State's nature reserves, outdoor enthusiasts can enjoy horse-riding, hunting, and bird watching. The rivers and dams offer a myriad of water sport opportunities such as challenging river rafting or canoeing. Day and overnight hiking routes vary from educational tours to rough mountain treks. In addition, a large variety of festivals and events are held throughout the year with some characteristic only to the Free State. To visit South Africa's Free State is to be touched by its rural charm, to be one with nature and where one can experience the freedom of true wide open spaces. Free State Accommodation and Information.